The simplest way to ensure you have enough money to cover a longer-than-expected retirement is to save more before you quit work (see the graphic below for an idea of how much more you might need). That’s a feasible option if you’re at a reasonably early point in your career and you have time to slowly ramp up 401(k) and IRA contributions. It may also be fine if you’re closer to retirement but are able to supercharge saving until you stop working (say, by socking away bonuses, freelance income, or other windfalls; maxing out catch-up contributions; or cutting back on a few luxuries). What if you’re saving as much as you can afford to, or you’re already on the verge of, or in, retirement? You can reach the same goal by adjusting your spending and investment mix in retirement to allow you to capitalize on the extra years of compounding portfolio growth that a longer lifespan allows. Here are 6 key moves to make now. Then use the projection to determine the number of years you’ll probably spend in retirement. That in turn will help guide decisions about how to invest, when to take Social Security, and how much to withdraw from savings each year. Err on the side of caution and pad the estimate, perhaps by as much as 10 years, suggests Jay Olshansky, a public health professor at the University of Illinois at Chicago. 2. Find the right pace. Once you’ve estimated your life expectancy, you can figure out how much you’ll be able to withdraw from your portfolio without the risk of depleting your savings. A rule of thumb: You can comfortably pull out 4% of your balance in year one of retirement (then adjust the amount for inflation in later years), if you expect to live another 25 years, says David Blanchett, head of retirement research at Morningstar. For your money to last 30 years, that “safe” rate drops to 3.4%, and to 3% to make it to 35 years. Yes, that means getting by with 25% less in annual income than if you withdraw money based on a 25-year span. 3. Flex your spending. Not keen on making do with that much less in income throughout your retirement? An alternative is to adjust your withdrawals depending on how the stock market is performing, making do with less cash only when share prices are tanking. That way you minimize the long-term damage—you don’t lock in losses and deplete your portfolio by selling, but instead leave room for your investments to bounce back and then resume growing. How much less do you need to get by on? In a bad market, aim to lower the dollar amount you withdraw by 10% before taxes, says Minneapolis financial planner Jonathan Guyton. A study by Guyton found this flexible strategy typically allows for higher overall withdrawal rates in retirement with little risk of falling short, even over periods as long as 40 years. Or try this different approach with a similar outcome: Research by T. Rowe Price shows that giving up cost-of-living increases in your withdrawals for a few years following a bear market also sharply boosts the chances that your money will last as long as you need. 4. Maintain your balance: Given a longer time horizon, bumping up the percentage of your portfolio in stocks might seem like a smart move. Only not so much, as it turns out. True, equities remain your best shot at earning inflation-beating returns over time. But there’s no need to tinker with the standard 40% to 60% stock allocation recommended early in retirement (depending on your age and risk tolerance). That stake provides enough exposure to keep your money growing without ramping up the risk of losses. And while the percentage you hold in stocks can make a big difference to your returns in the short term, shifting an extra 10% to 15% into equities won’t have much impact over 30 or 40 years, Blanchett notes. What matters more over longer periods than your allocation is the withdrawal rate you choose, the fees you pay (favor low-cost index funds), and the overall returns of the market. 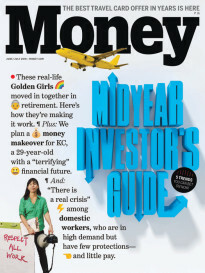 You also want to pay careful attention to the amount you keep in cash or short-term bonds, especially in the first few years of retirement, so you don’t have to sell stocks at a loss to cover living expenses if a bear market strikes (the scenario that derailed so many new retirees during the 2008 financial crisis). 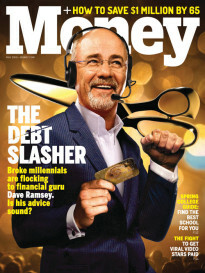 Aim to have enough in cash to cover your spending for at least a year, says Harold Evensky, a financial planner in Coral Gables, Fla. A study that Evensky co-­authored last year in the Journal of Financial Planning found that having those emergency reserves increased the likelihood that a nest egg would last 30 years by as much as six percentage points. 5. Plan for an extra kick: To really ensure you have enough income late into an extended retirement, put a portion of your portfolio—say, 10%—in a deferred-income annuity, also known as a longevity annuity. Unlike immediate annuities, which pay out right away, deferred annuities kick in after 15 or 20 years or more, depending on the period you choose. “It’s a form of insurance for old age, but you’re buying it at a big discount to the cost of an immediate annuity,” says York University finance professor Moshe Milevsky. You can find quotes for longevity annuities at immediateannuities.com. Recently a 60-year-old woman investing $100,000 could receive $24,200 in annual payouts starting at age 80; versions that adjust the amount you get for inflation cost more. Whichever you choose, make sure that the annuity is backed by an insurance company rated A or better by A.M. Best or AA or higher by Standard & Poor’s. 6. Keep it simple: Consolidating your accounts at a single brokerage makes it easier to monitor your holdings. And if you keep all your assets with one firm, your larger balance may qualify you for lower fees, which will boost your returns. Consolidating is especially important when you live longer, because studies show that by their eighties and nineties, many people have cognitive declines that affect their financial skills. A simple portfolio, including a steady income stream from annuities and Social Security, will be easier for you to manage or for a trusted relative to help oversee.